You've gotten the phone to ring...... Now what? Are your customers hearing silence on hold or music on hold? Or the radio on hold? Your hold button is like your web site, only it's on the phone instead of on the computer. Would you want customers staring at a blank screen when they visit your site? Would you want your site to advertise other businesses, like the radio does? At Maxtel we understand how important it is to make the most of your advertising and what better place to advertise than while your customers are holding. By using the advertising on hold system you are able to sell your products, inform your customer of changes in products or your company and direct them to the correct department. With the talent of our suppliers musicians and voice over artists, professional and top quality recordings can be supplied for your Auto Attendant, Music on Hold, A/Hrs Units and answering machines. 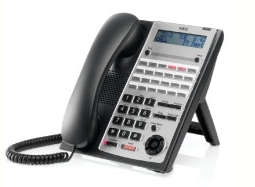 Maxtel can supply your production in almost any format you require. So make the most of your captive audience and contact us today.